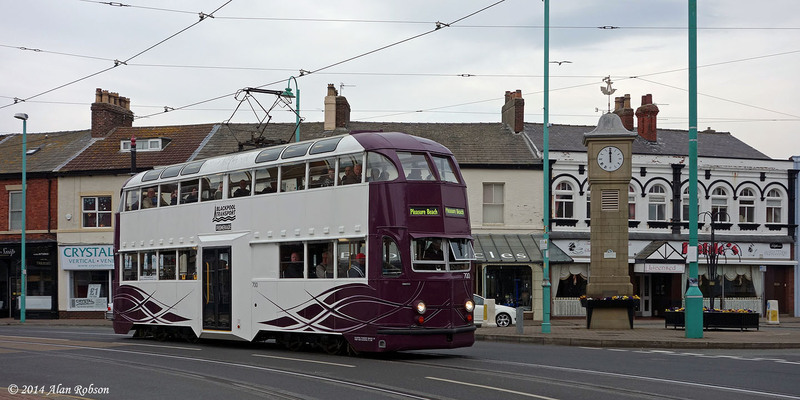 Blackpool Balloon 702 has finally made it in to undercover accommodatation. 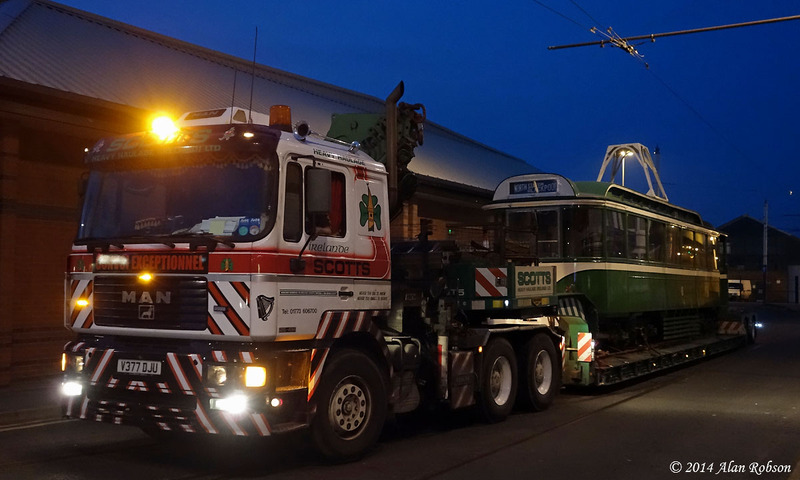 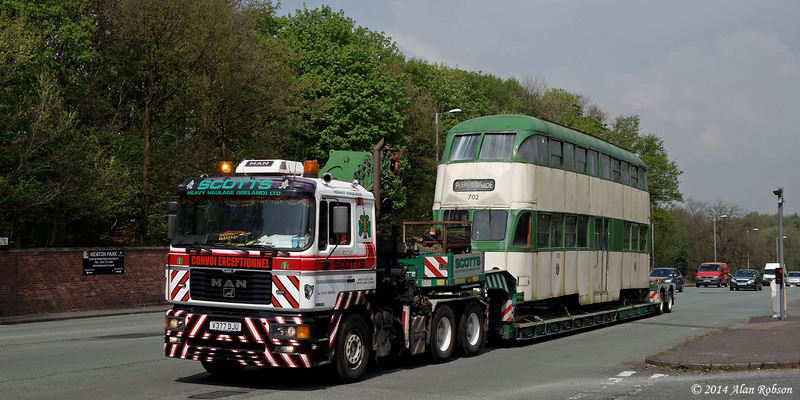 On 29th April Scotts Heavy Haulage made an early morning departure from Blundell Street in Blackpool, where they had delivered Pantograph Car 167 from Beamish the previous day. 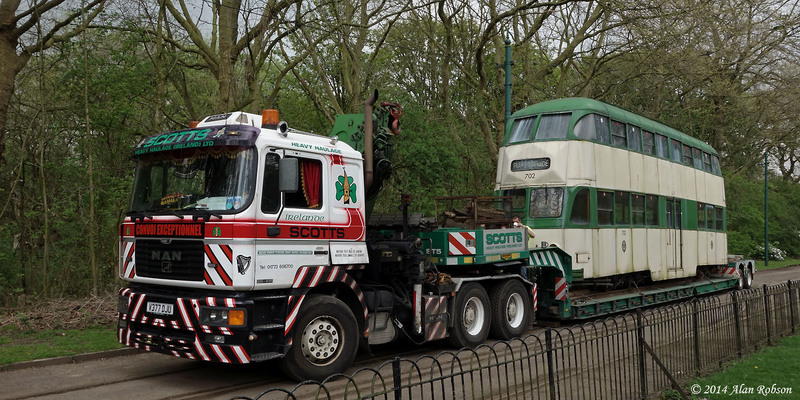 Scotts were bound for the East Lancashire Railway at Bury to collect Balloon 702 from open storage, and transport it the short distance to the Heaton Park Tramway in Manchester where it can now be kept undercover and dry in the new Lakeside Depot. 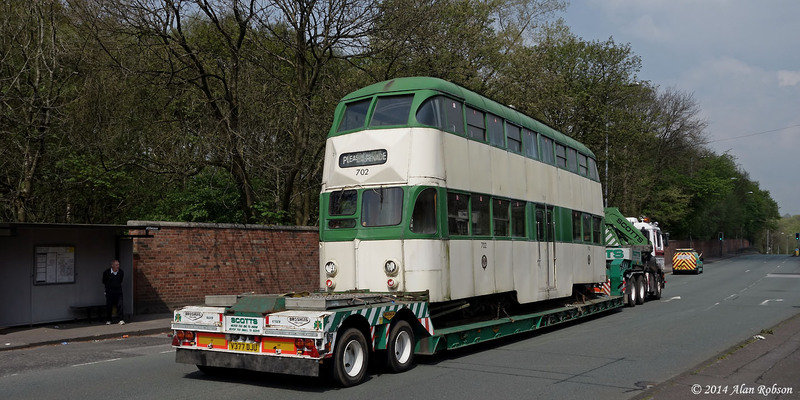 After a tricky loading at Bury due to not being able to get the trailer close enough to the tram, Scotts set off for Heaton Park. 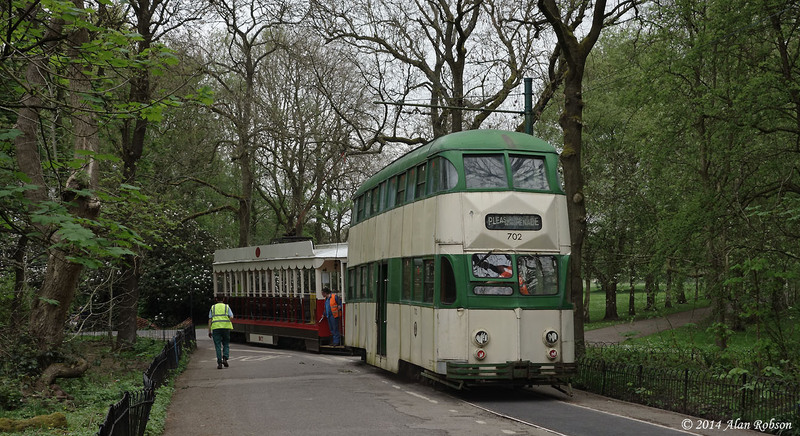 The approach to the park was made from the south along Middleton Road, the low loader having to continue north past the entrance gates and turn around the M60 junction roundabout in order to return south so that it could swing across the dual carriageway at the Middleton Road entrance gates and gain access the tramway, 702 passing through the park gates at 13:05. 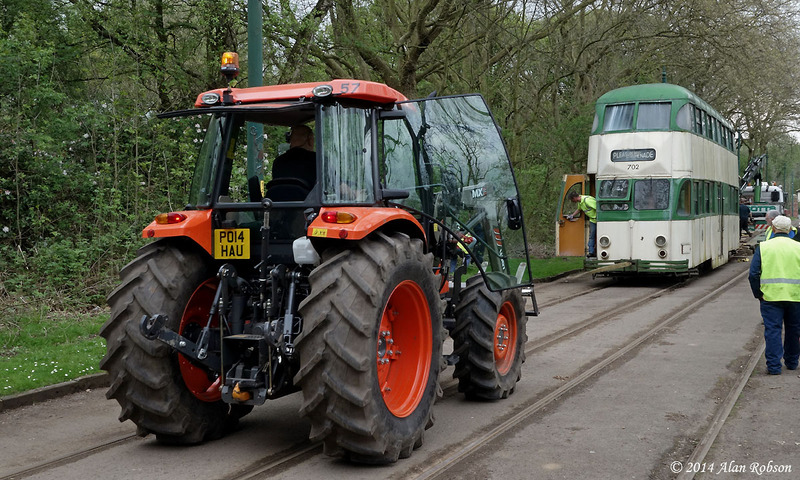 The unloading process was completed with the aid of a tractor from Manchester Parks Department, and 702 was then towed by replica Vanguard 619 to the new depot at Lakeside with photo stops being made along the way. 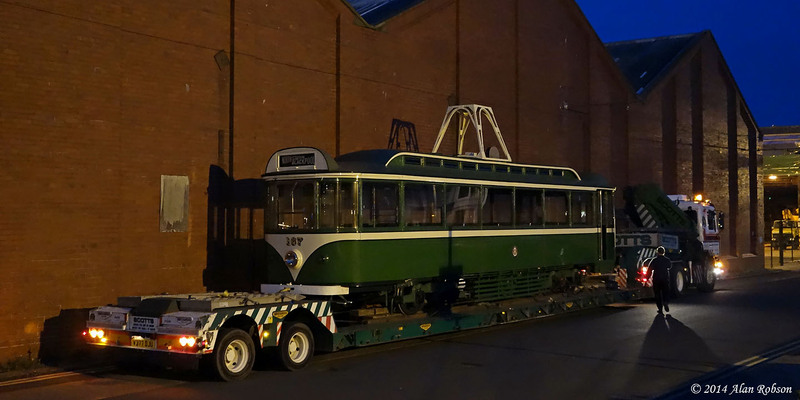 Balloon 702 was pushed the last few yards into the depot building by Brush Car 623 at 15:20, thus completing the successful retrieval of 702 from its years of exposure to the elements while being stored at Bury. 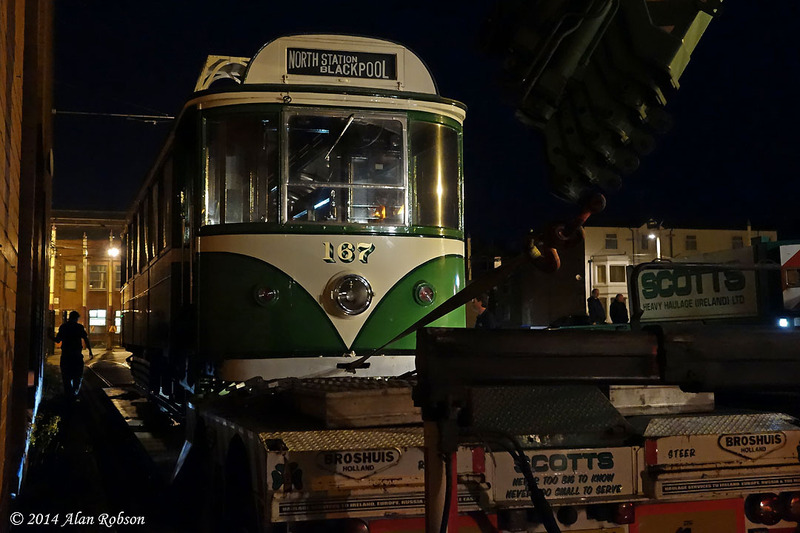 Pantograph 167 arrived in Blackpool this evening courtesy of Scotts Heavy Haulage. 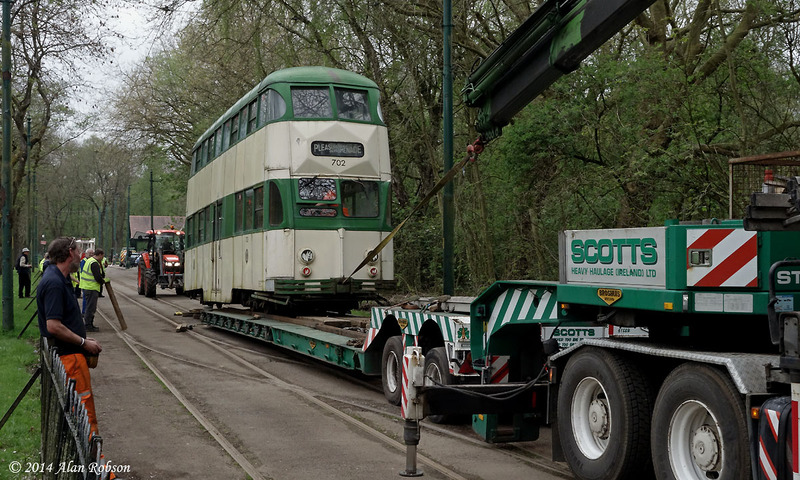 There had been a delay in loading 167 earlier in the day due to a problem with Scotts low loader, the departure from Beamish eventually being at 5pm. 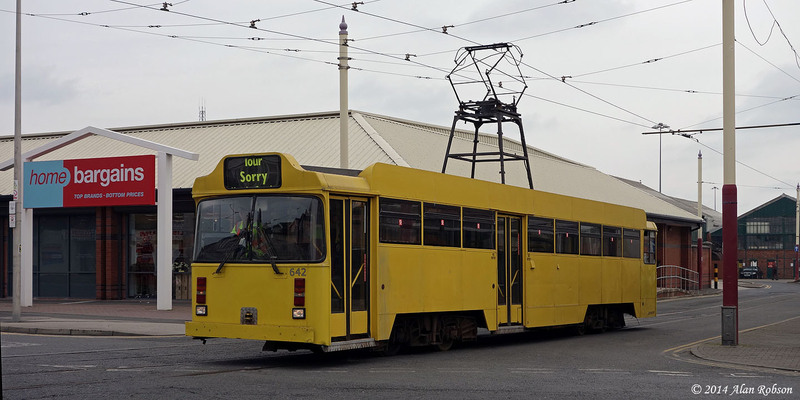 Scotts finally arrived at Rigby Road depot in Blackpool just after 9pm, being met by an intrepid band of enthusiasts, some of whom had been waiting many hours for the delayed arrival. 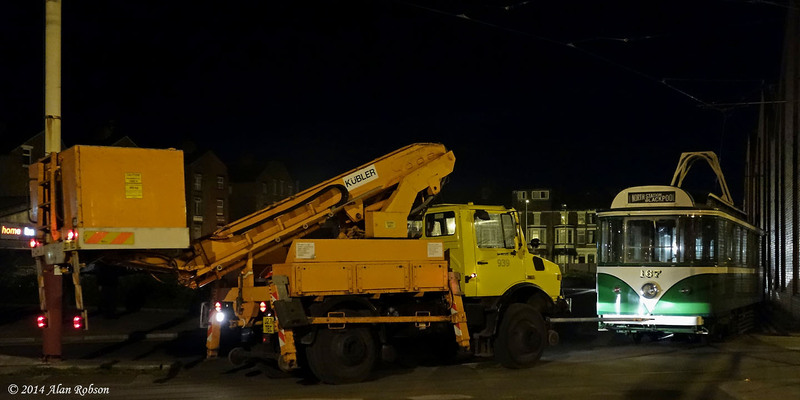 After Scotts positioned the low loader in Blundell Street, the unloading process went very smoothly, with 167 being pushed into the depot by Unimog 939 at 10pm. 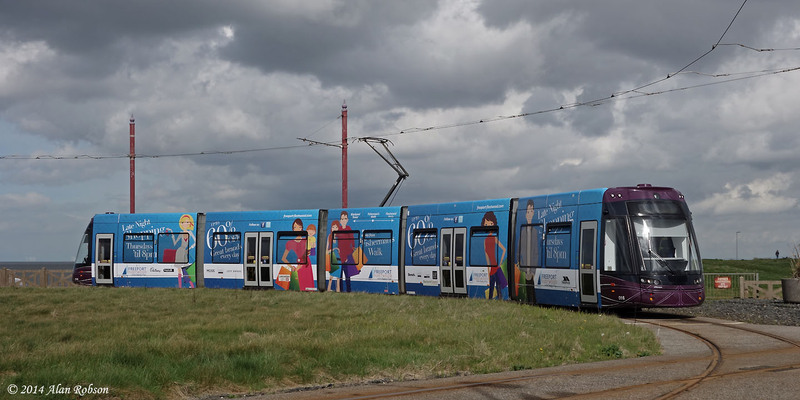 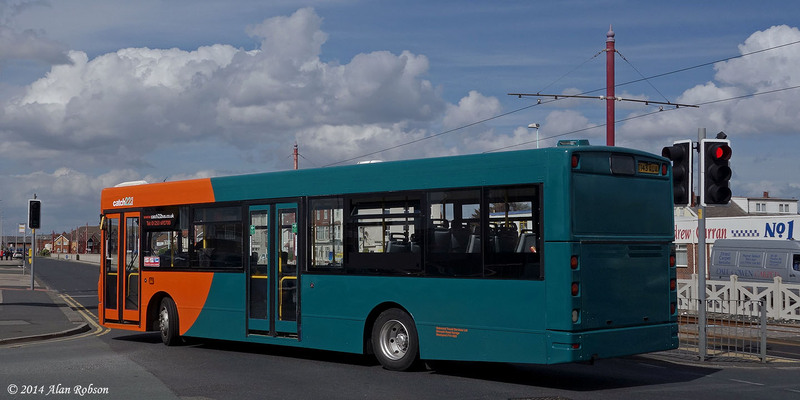 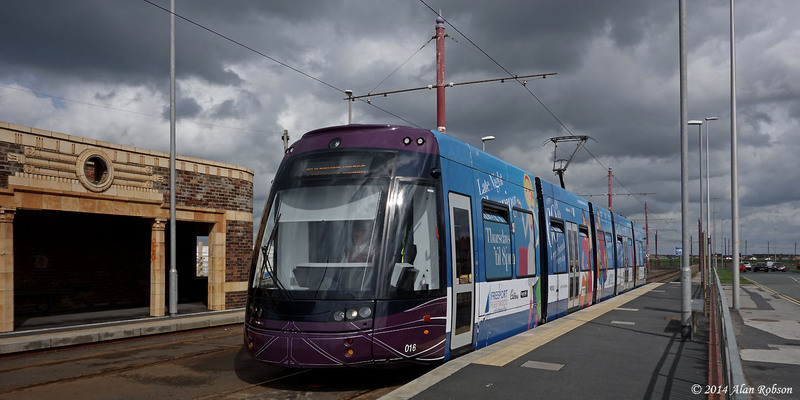 On Saturday 26th April the new overall advert Flexity was allocated to a short working during the day. 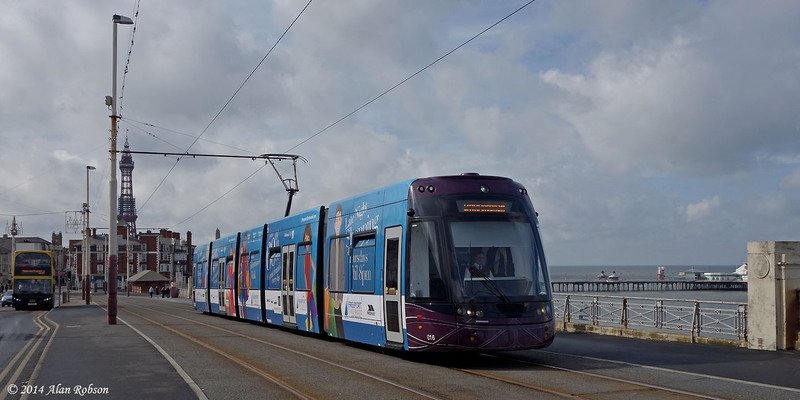 Flexity 016 was noted operating between the Pleasure Beach and Little Bispham turning circles throughout the morning and afternoon. 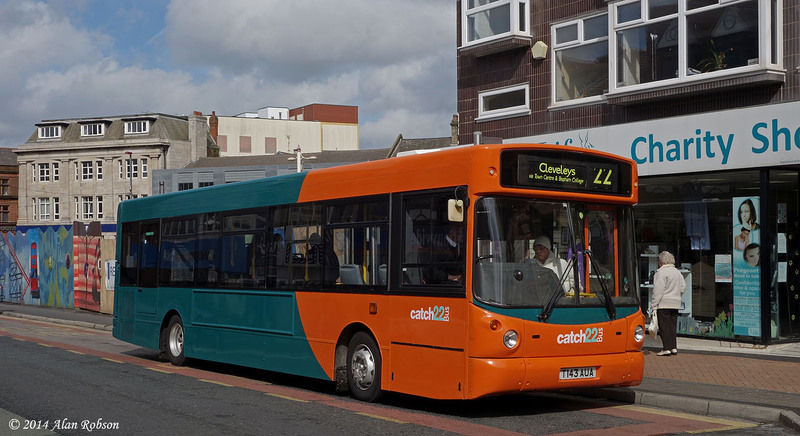 Oakwood Travel's Dennis Dart T143AUA entered service today in the new Cardiff inspired Catch22 fleet livery of orange and turquoise. 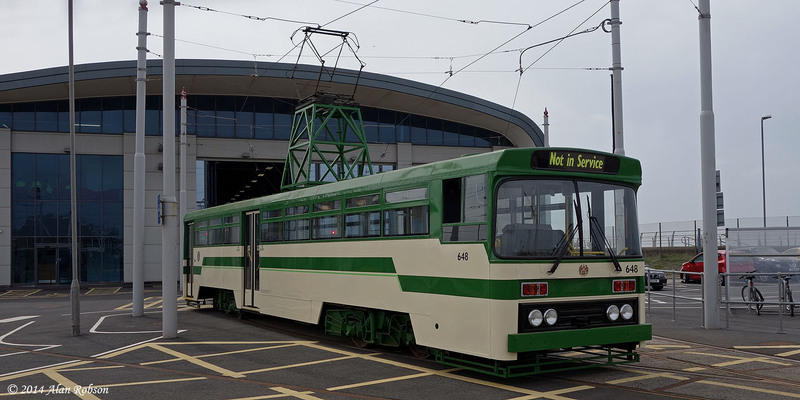 143 received its new paint scheme a month ago, but has been undergoing MOT preparation work in the meantime before today's rebranded debut into passenger service. 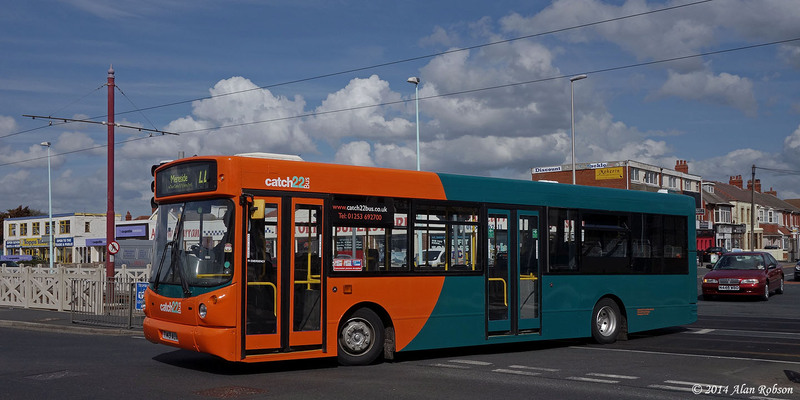 The vehicle is the second one to enter service in the new Catch22 colours, Volvo B6BLE W601CWX was the first bus to see service in the new livery, making its first appearance on the Catch22 route on Thursday 17th April. 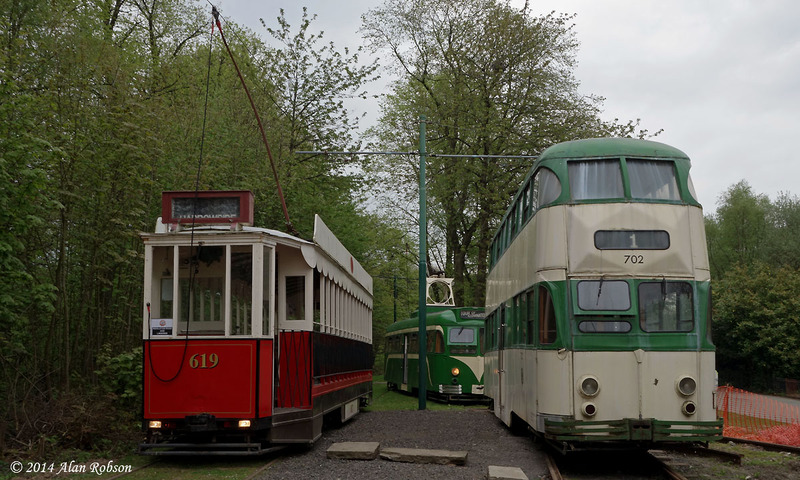 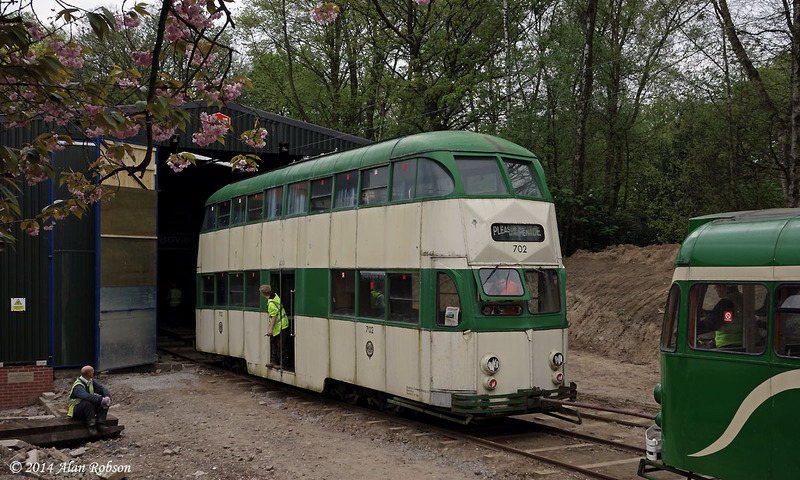 Centenary cars 642 and 648 were moved from Rigby Road depot to Starr Gate on 25th April, in preparation for the next heritage tram weekend at the beginning of May. 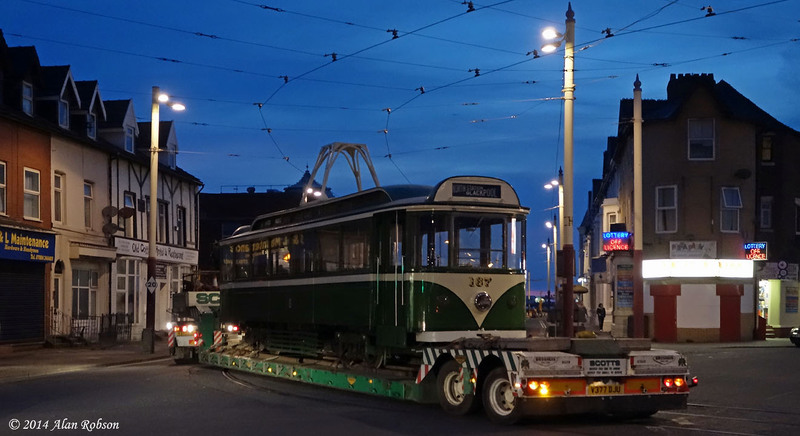 Before the two Centenary cars made the journey south, Twin Set 272+T2 and Balloon 706 were returned to Rigby Road from Starr Gate. 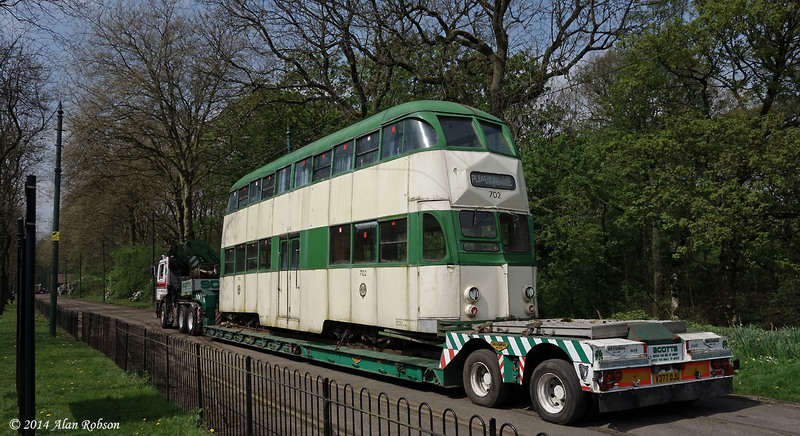 Centenary 642 is only going to Starr Gate depot to act as a backup for 648 which is planned to feature in the weekends events. 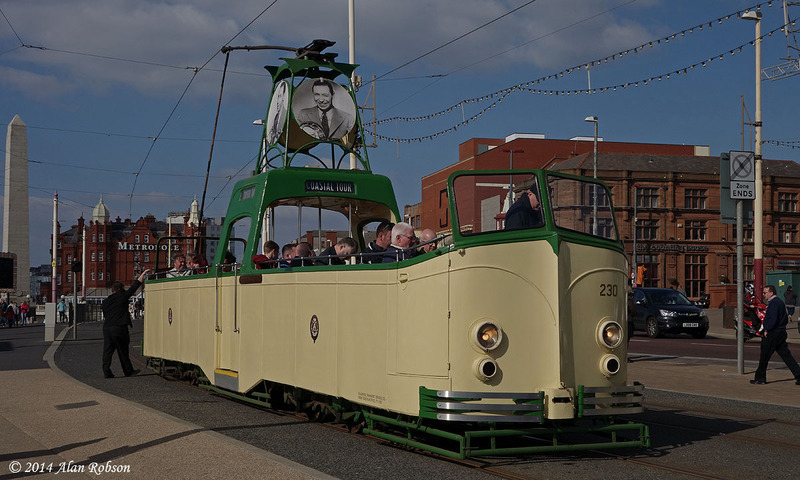 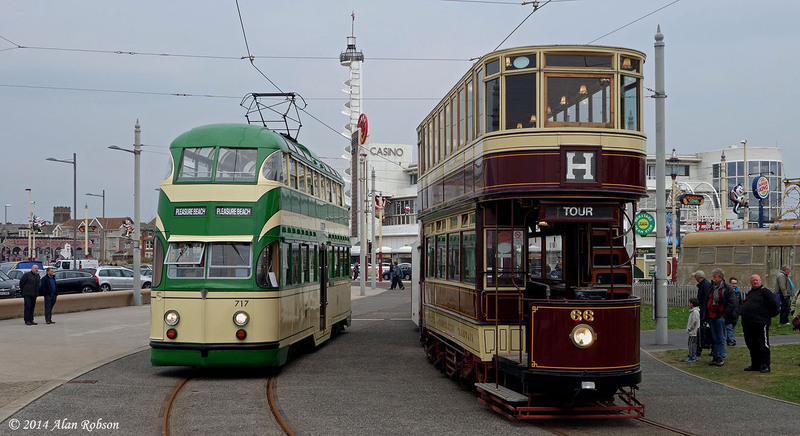 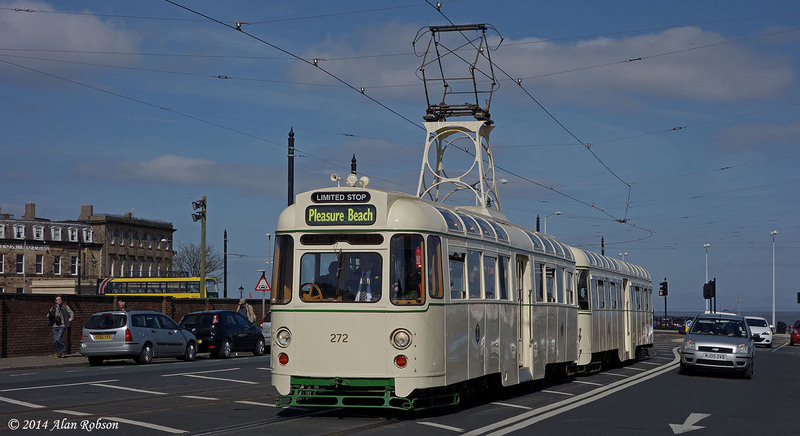 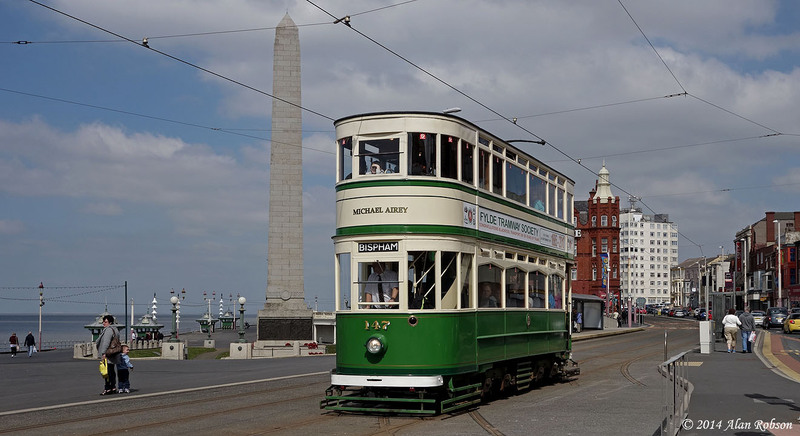 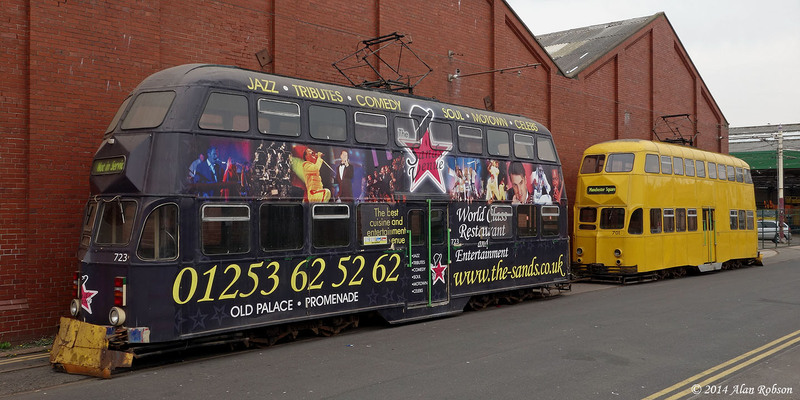 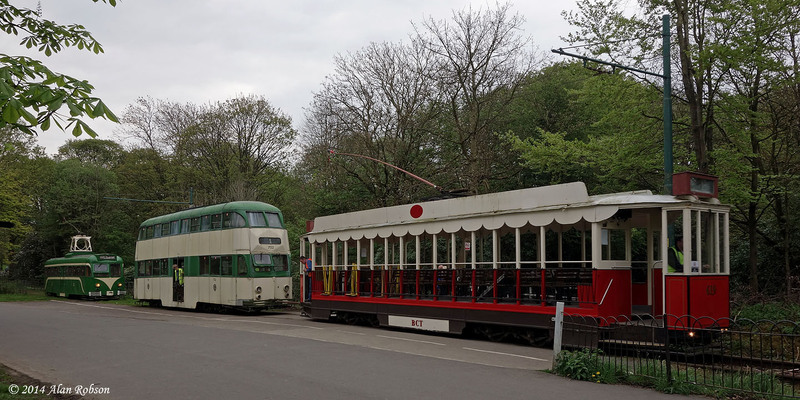 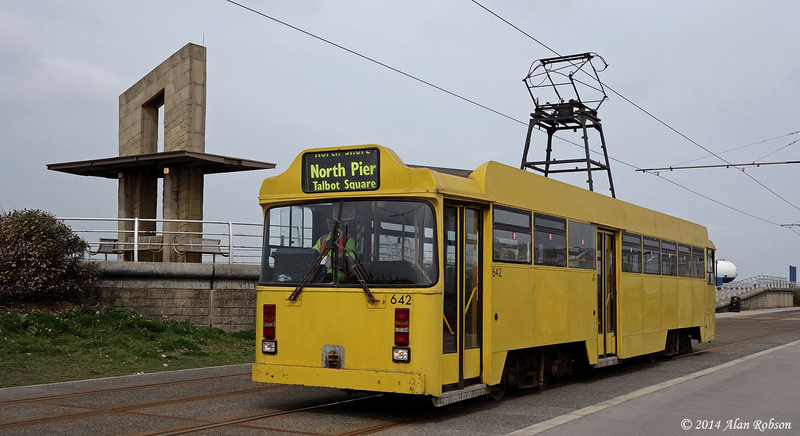 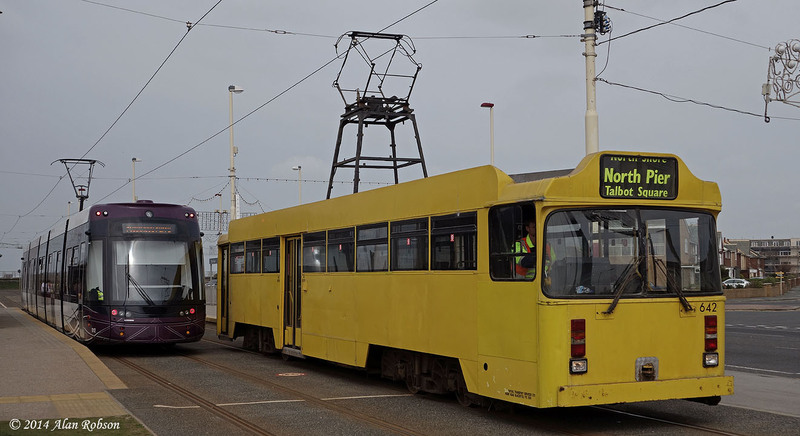 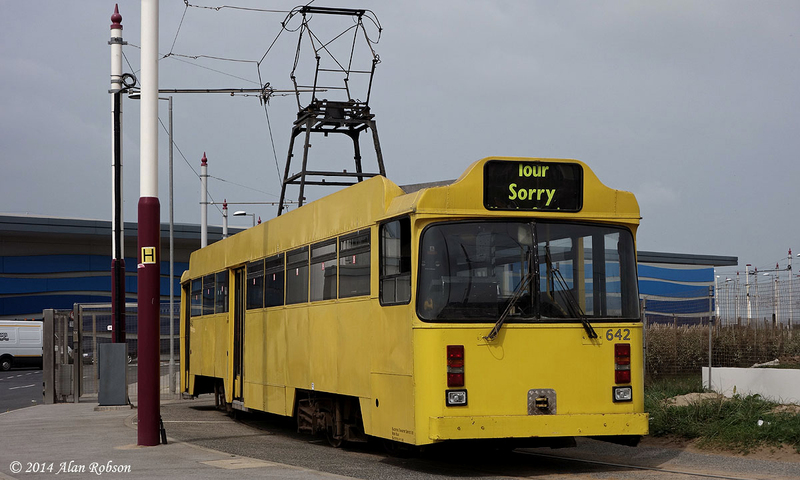 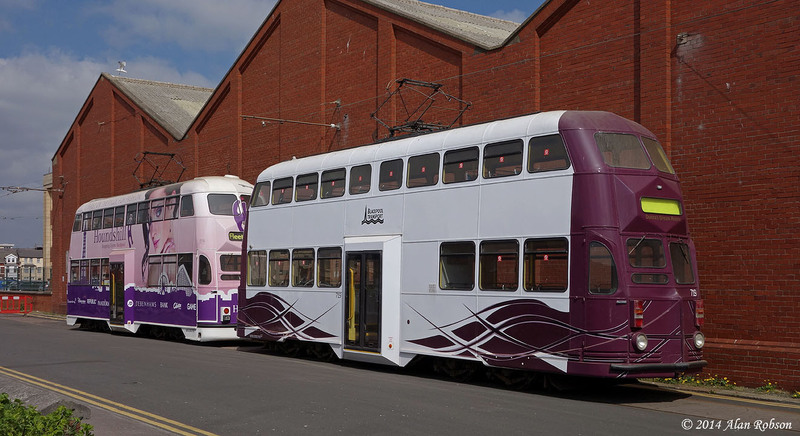 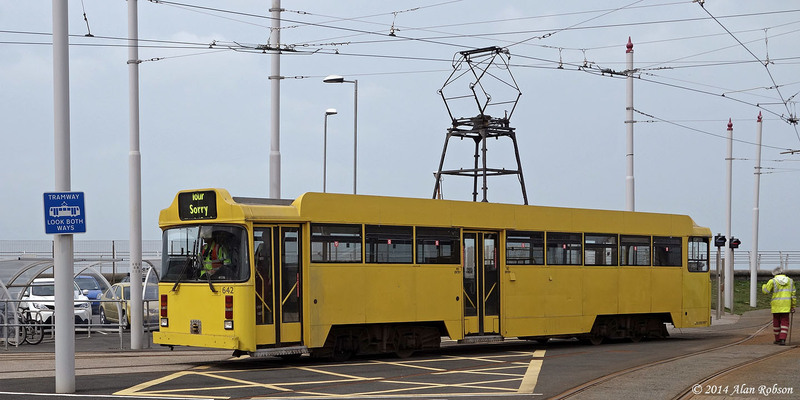 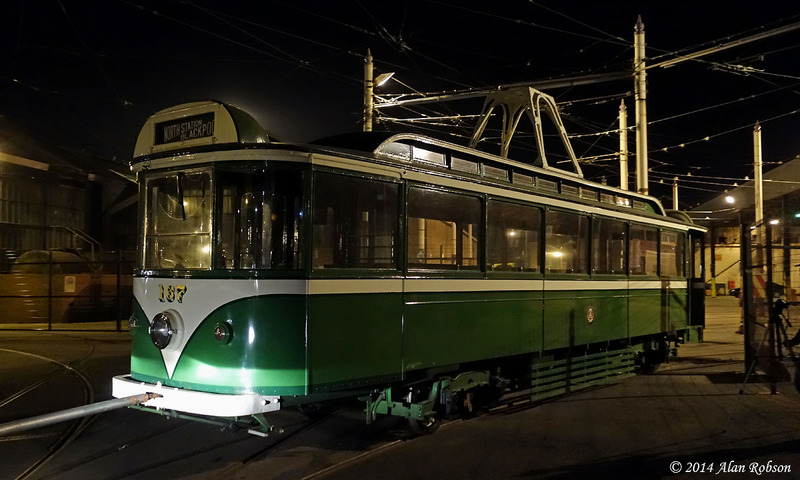 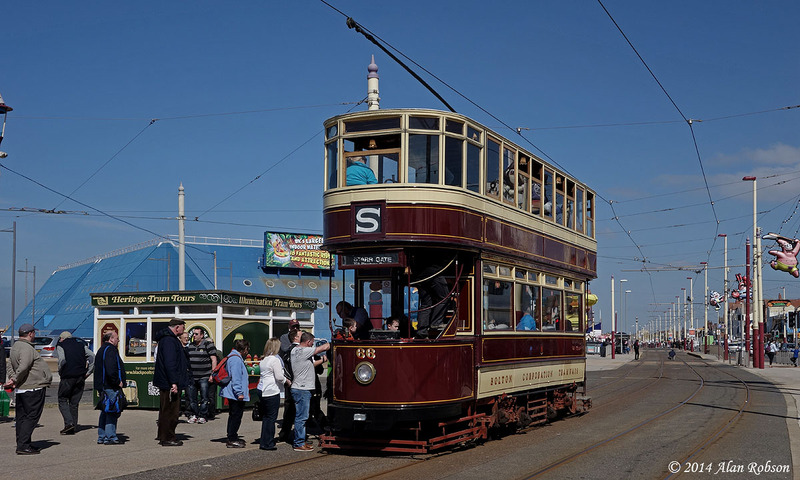 Sunday 20th April was the third and last day of heritage tram operations in Blackpool over the Easter Weekend. 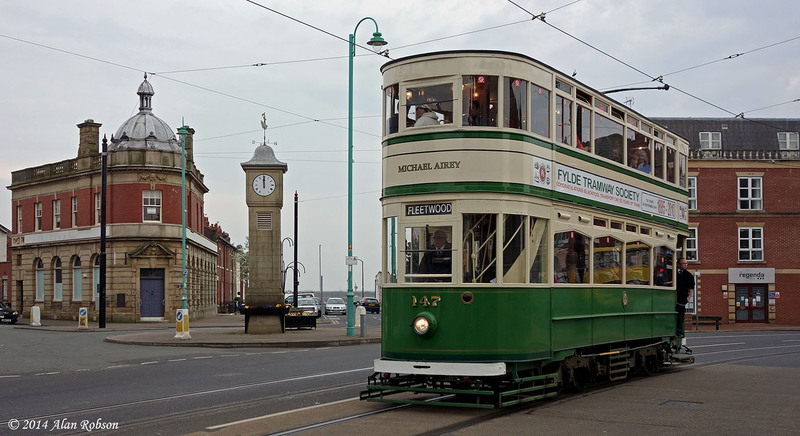 The day began with the morning tour to Fleetwood which was operated by Balloon 717 and Brush car 631. 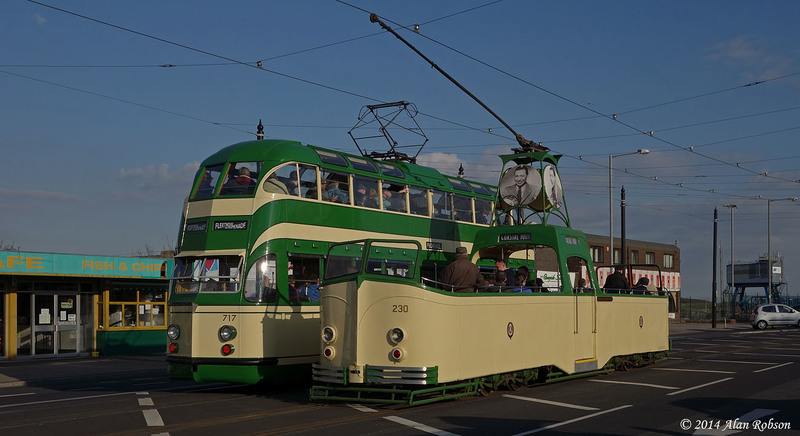 Bolton 66 and Balloon 700 were brought into service later operating Promenade tours as required. 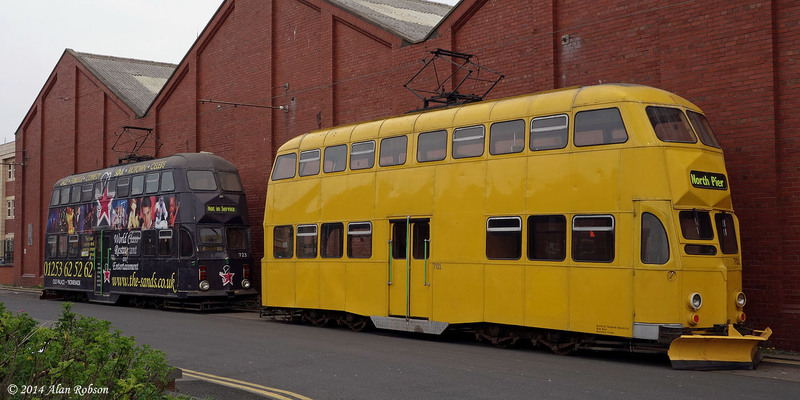 Between about 1pm and 3pm snowplough equipped Balloons 701 and 723 were displayed alongside the fitting shop in Blundell Street, with Balloon 715 being positioned on the depot fan. 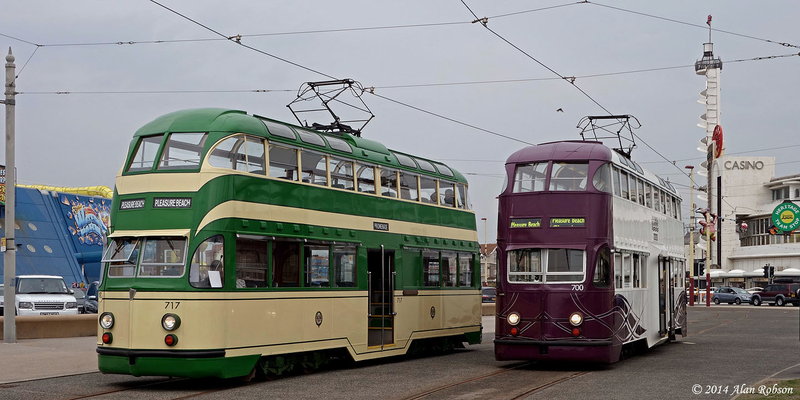 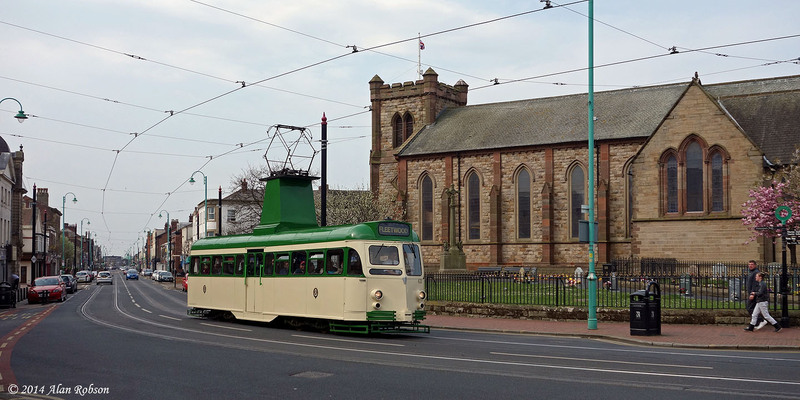 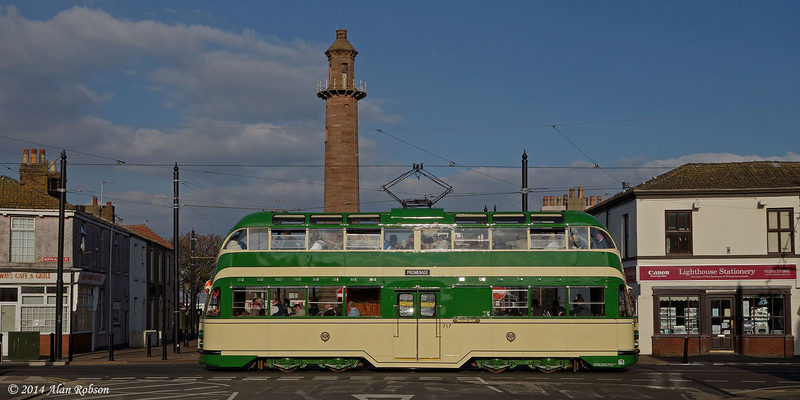 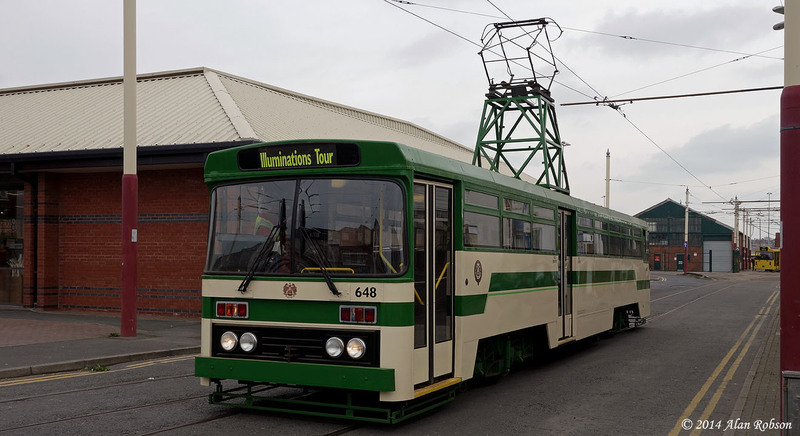 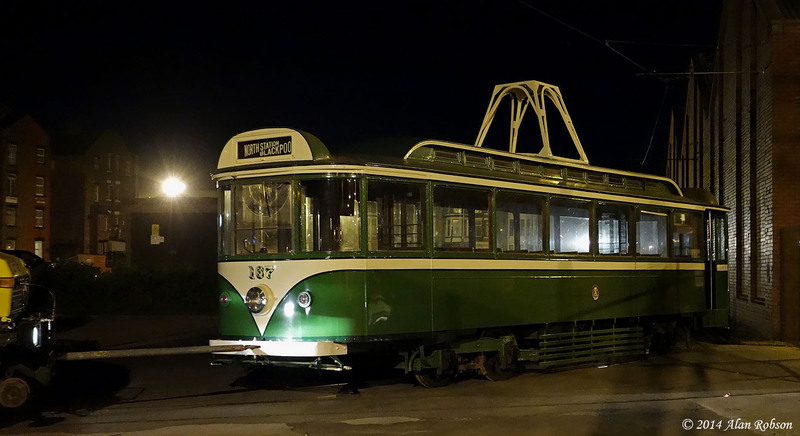 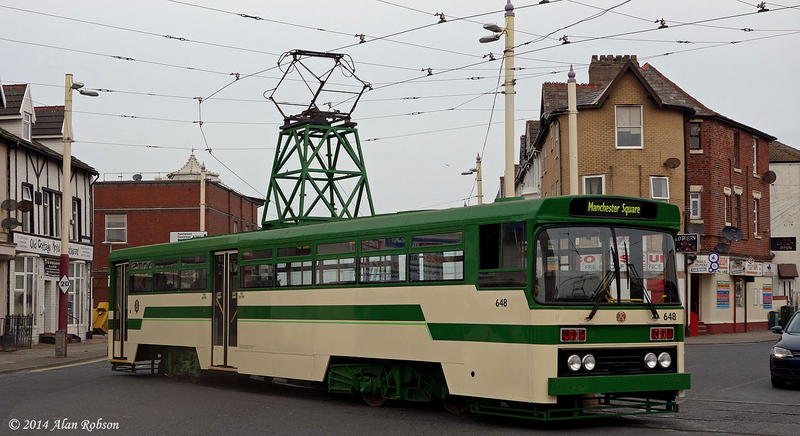 The trams used on the late afternoon tour to Fleetwood were Standard 147 and Balloon 700. 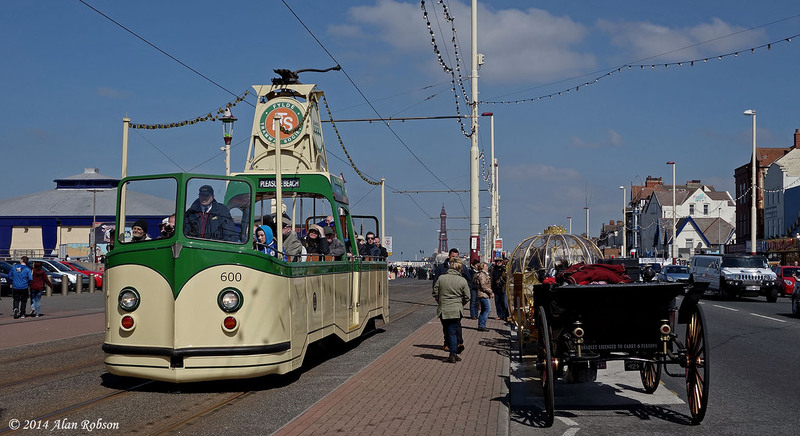 Saturday 19th April was the second day of heritage tram operations in Blackpool over the Easter Weekend. 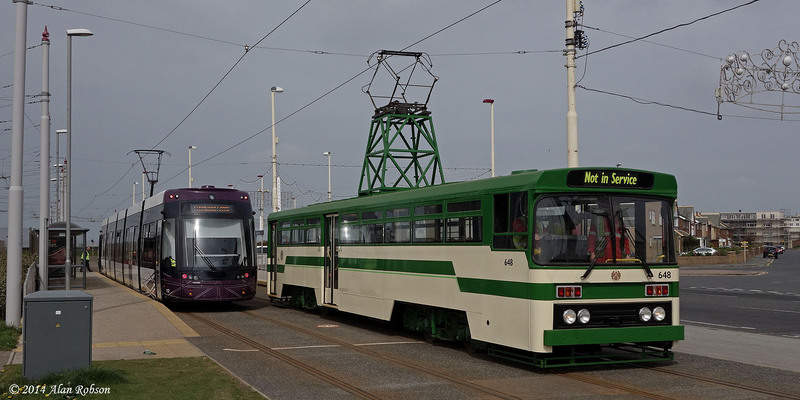 The day began with the usual morning tour to Fleetwood which was handled this time by Twin Set 272 and T2 and Boat 600. 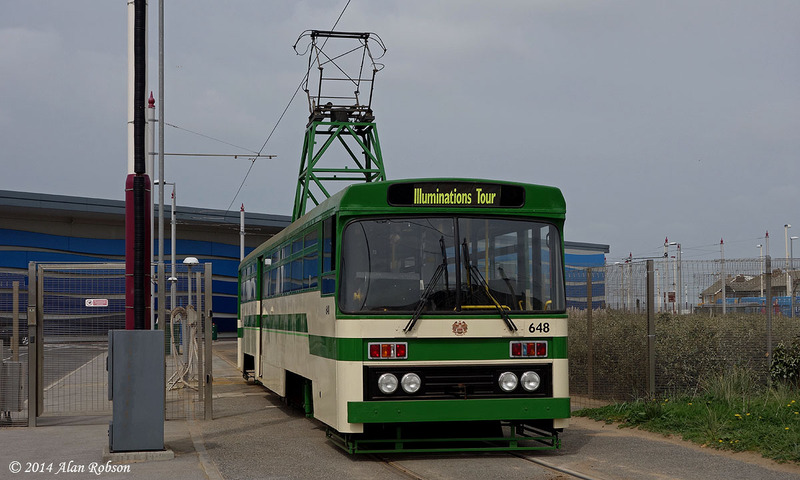 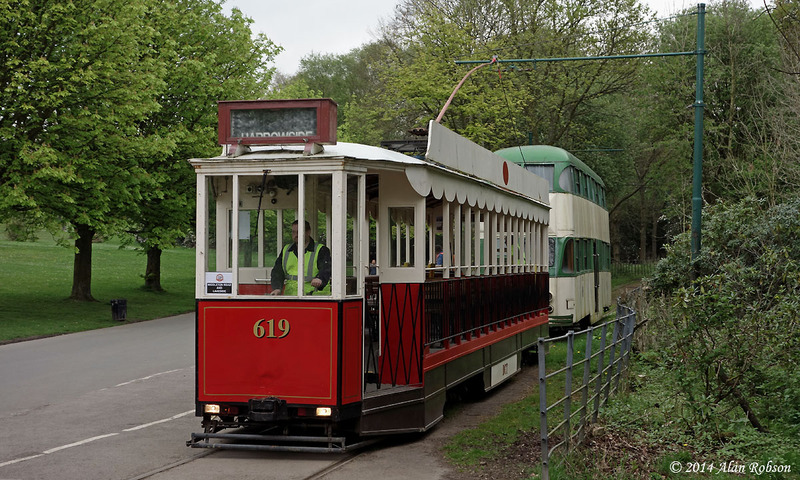 Standard 147 and Bolton 66 followed into service later operating Promenade tours as required. 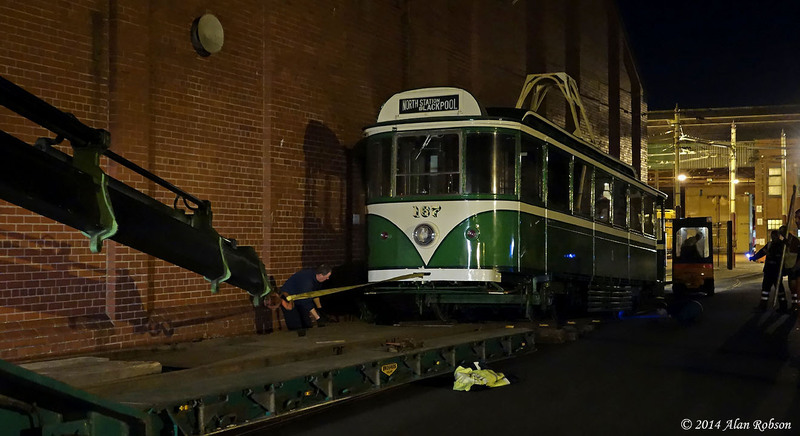 Between about 1pm and 3pm widened Balloons 719 and 713 were displayed alongside the fitting shop in Blundell Street, with Balloon 720 being pulled out onto the depot fan, exhibiting its missing centre door that was damaged during a depot move several months ago. 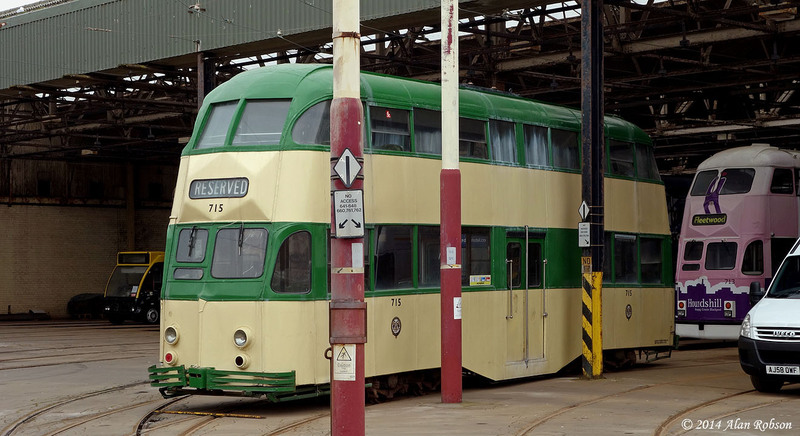 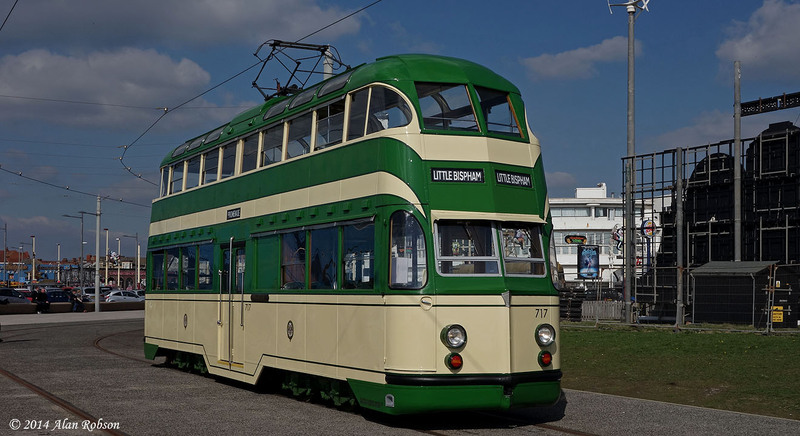 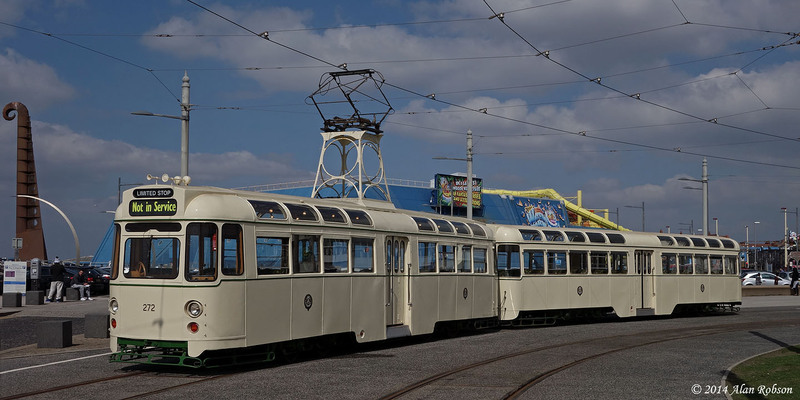 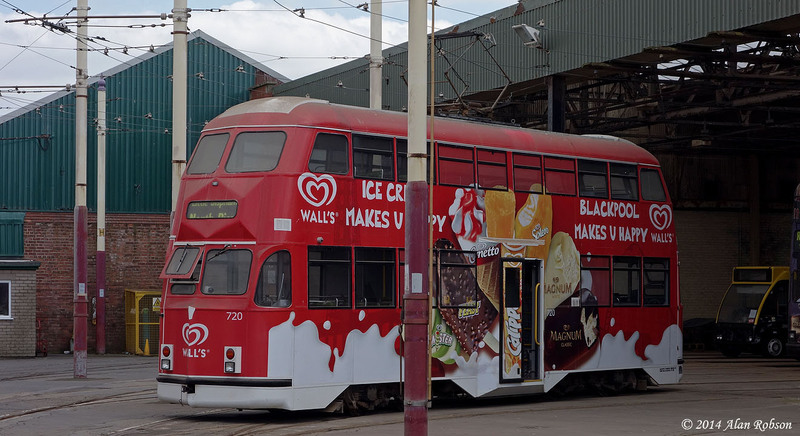 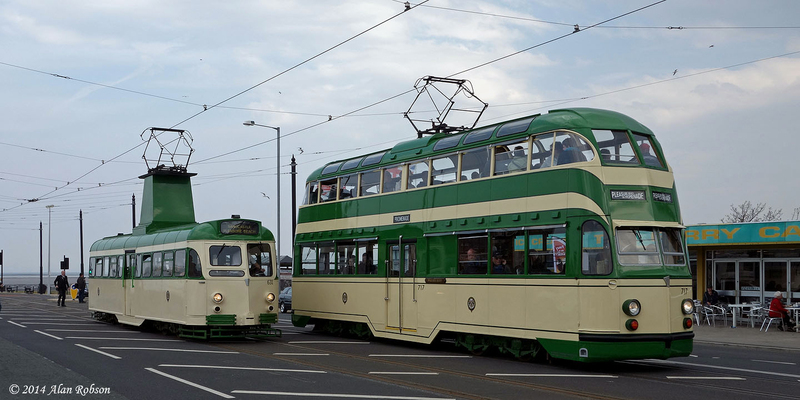 The trams used on the late afternoon tour to Fleetwood were Balloon 717 "Walter Luff" and Boat 230 "George Formby".